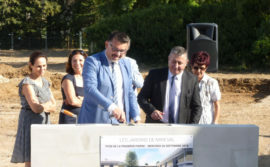 On Thursday 18th October, the IDEC GROUP laid the first stone for a new project in Montpellier (Hérault). 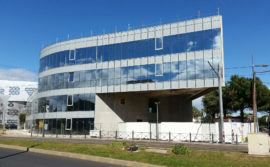 This office project, AMMONITE, illustrates the group’s desire to step up its development in the South of France with various planning, development, design and construction projects. 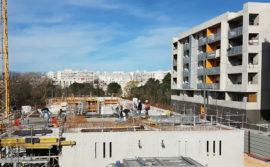 Built in the heart of the city of Montpellier, AMMONITE, the new flagship project by the IDEC GROUP in the South of France, will shortly be displaying its bold architecture marked by its glass frontage and its cantilever design. 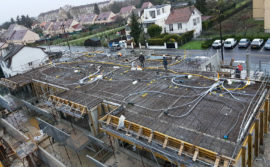 This 3000 m² office project developed on three floors will offer its future occupants a high quality work place bathed in natural light, once it is completed in the summer of 2019. 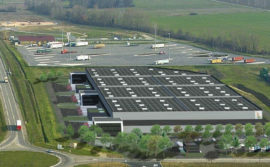 AMMONITE is the work of two companies in the IDEC GROUP, who worked together to ensure the success of the project. 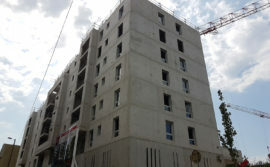 FAUBOURG PROMOTION, the planner and developer of business premises took care of managing and developing this programme. 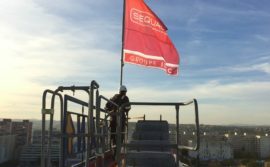 As for the design and construction, that was awarded to the teams at SEQUABAT, the IDEC Group’s arm based in Montpellier, which specialises in the design and construction of business, commercial and residential property. 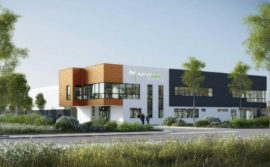 More important than this synergy, this operation symbolises the desire of the group founded and chaired by Patrice LAFARGUE, to step up its development in the South of France. 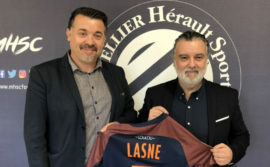 “This operation illustrates perfectly our wish to grow our business in the South through all of our areas of expertise – planning, developing, investing, designing and building,” explained Patrice LAFARGUE. 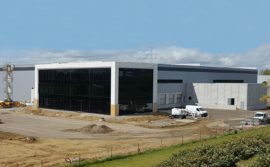 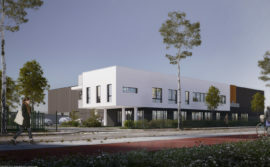 “All of our subsidiaries have already carried out some fantastic projects in the area, such as the logistics and business park developed by FAUBOURG PROMOTION in Fos sur Mer for which the construction of the first buildings has been awarded to IDEC. 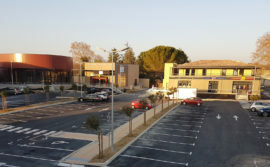 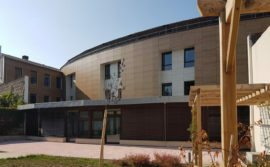 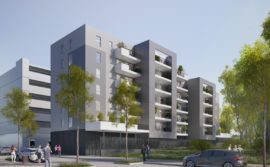 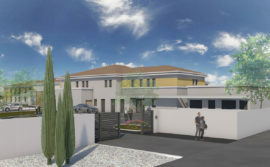 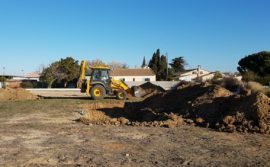 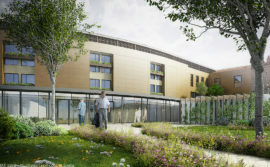 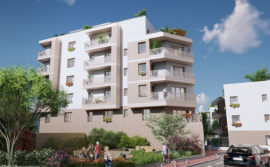 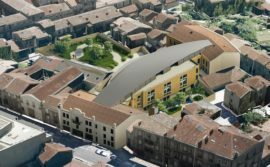 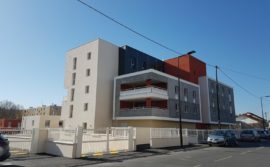 The launch of a project with 72 homes in Montpellier by FAUBOURG IMMOBILIER and built by SEQUABAT is another example of that,” added the President of the IDEC GROUP. 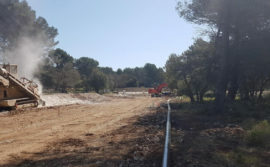 The laying of the first stone for AMMONITE on Thursday 18th October was confirmation of this strategy to grow and develop the IDEC Group’s business in the South of France. 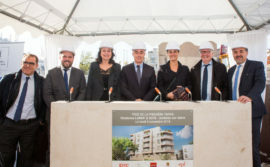 All of those involved in the project came together for this symbolic launch, including Madam Chantal MARION, Vice-Chair of the Montpellier Mediterranean Urban Council, Mr Max LEVITA, President of the SERM, the architect for the project, Mr Yves SIMON, Marc FRAPPA, Managing Director of FAUBOURG PROMOTION and Sébastien PICARD, Managing Director of SEQUABAT. 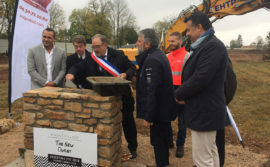 At the same time as the laying of the first stone, the IDEC Group invited a local artist, NUBIAN ARTWORK and the NICOLAS-XAVIER Gallery to paint a fresco on the fencing around the building site. 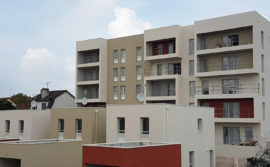 This idea aims to support and show off the quality of this type of art, which is currently in fashion in rapidly changing urban areas.